This afternoon the solar powered plane, Solar Impulse 2, touched down in Dübendorf near Zurich inside a 747, completing its trip back home to Switzerland where it was born. 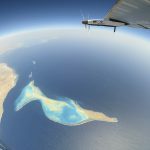 In July, the 100% solar powered plane, piloted by Bertrand Piccard, landed in Abu Dhabi in the United Arab Emirates, completing a full circuit of the globe. 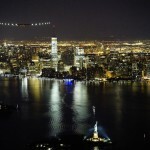 The aircraft’s 17-leg journey involved 23 days of flying, covering a distance of 43,041 kilometres. 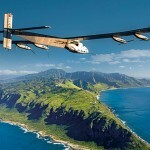 Bertrand Piccard and André Borschberg took turns piloting the plane. In an interview with House of Switzerland today, Bertrand Picard praised Switzerland on its network of small companies that helped them build the aircraft, saying “This is where Switzerland is so good”. Adding that the nation’s social harmony was also critical. You cannot build an experimental plane if people go on strike or if the roads are blocked because of striking drivers, he said. In the middle of the project they had to bring parts from England. Each time they were delayed by strikes in France. He said Switzerland’s social harmony has enormous value. What will happen to the aircraft now has not yet been decided.André said it will be maintained even if the cost of flying it is high. It was designed to fly 2,000 hours and it still has 1,300 hours left. It could maybe end up in a museum. In the meantime however, it will stay in Dübendorf. Bertrand Piccard, a trained psychiatrist and round-the-world balloonist, who lives in Lausanne Switzerland, comes from a family of explorers. His father, Jacques Piccard was an undersea explorer, and his grandfather Auguste Piccard was a balloonist. He and Brian Jones were the first to complete a non-stop balloon flight around the world in 1999. André Borschberg, a Swiss businessman from Zurich Switzerland, trained as a mechanical engineer and flew for the Swiss Air Force.